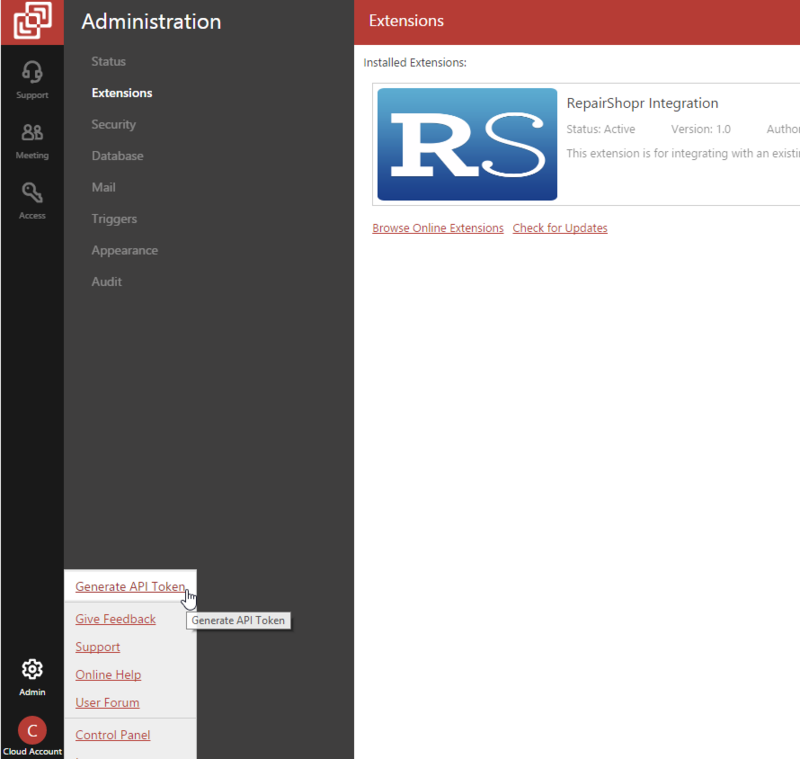 ScreenConnect is a tool you can use to remote control your customers' computer to make remote support a breeze! 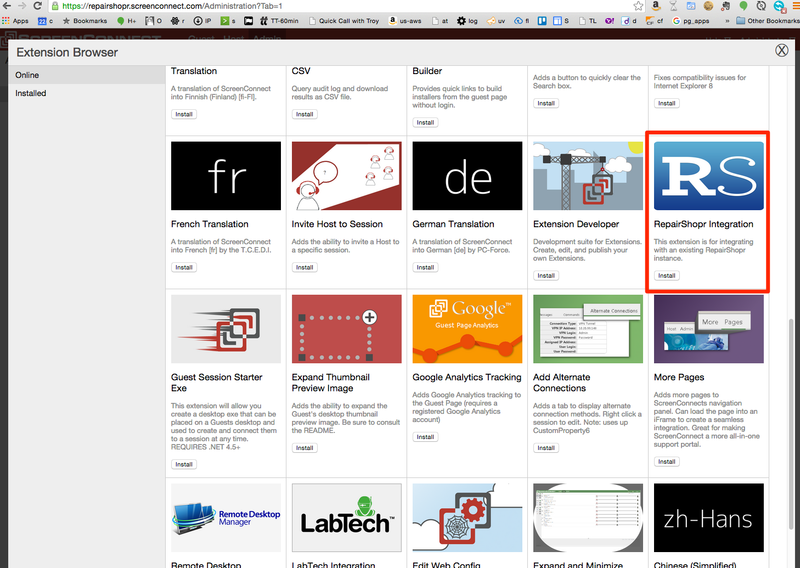 With our integration, you can just click to have a session created with the details copied over from the ticket. 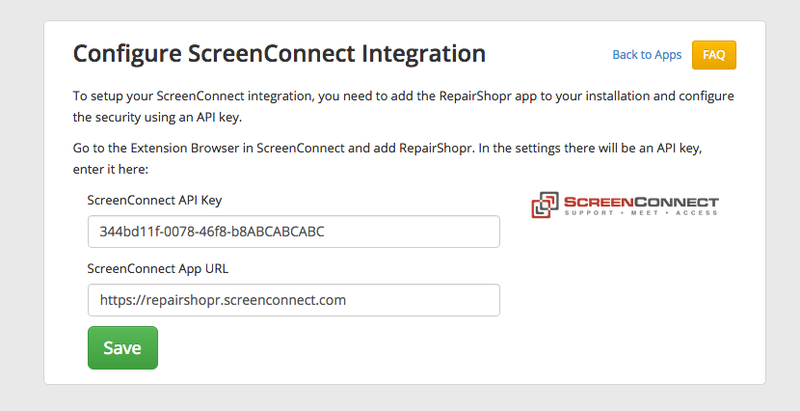 In ScreenConnect, head to the app store and look for RepairShopr. From "Extensions", generate an API Key by selecting the User account on the bottom left and selecting "Generate API Token". Click "Edit Settings" and paste in your API Key you generated. Then you need to enter the full URL to your ScreenConnect instance.